Our private villas with pools in Cascais, Portugal are situated in the proximity of the coastal town of Cascais, which lies 30km to the south of Lisbon. There is the possibility to heat the swimming pool in two of the properties and one which sleeps up to twenty people also has a private tennis court, ideal for groups and special occasion vacations. Cascais has a reputation for being one of the smartest areas of Portugal and is very well frequented. 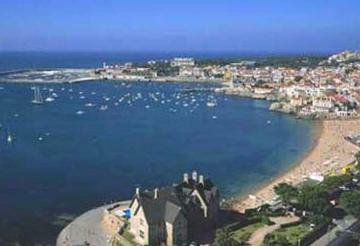 Cascais has a port and is close to numerous superb beaches along the Estoril coast. When staying in a holiday home in Cascais you can also enjoy the beauty of the nearby Sintra Cascais natural park and the lively night scene Cascais has to offer. We have 2 villas in Cascais.